Dems, Obama and MSM Come Fill Circle: That’s raaaaaacist! Add jokes to the list of what is now racist in this country. Don’t you dare joke about Obama’s birth certificate. That’s racist and Chris Matthews, the great sensitivity warrior, is in a terrible lather over it. Only Obama and Democrats can tell jokes like that, you got it? In fact, they can even sell their jokes for $5. Gotta love that faux outrage from a campaign that thinks civility is falsely accusing your opponent of being a felon and killing a woman with cancer. Besides, the really funny stuff is being don by Team Obama and his media minions and their anti-Mormon jabs at Romney. Religious bigotry — That’s just so hilarious! Hey, you know what else is funny? 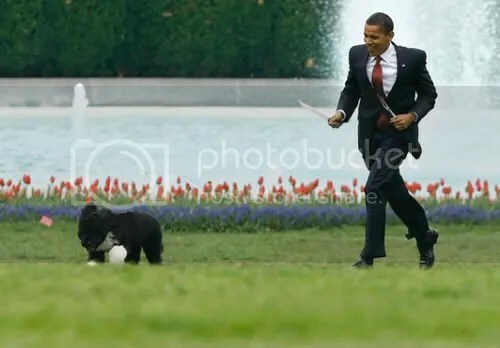 Obama ate dog. No really, he ate dog. Now that’s funny stuff. Now, that story has some real bark to it. This entry was posted in Campaign 2012, Forward and tagged Birther Jokes, Doube Standard, Obama Ate Dog, That's Raaaacist. Bookmark the permalink. 1 Response to Dems, Obama and MSM Come Fill Circle: That’s raaaaaacist!